In technical terms, if you overload a power point, you exceed the maximum amperage of the electrical circuit. This can cause a whole range of problems, ranging from short-circuiting to electrical fires. The most common cause of a power point overload is when there are too many appliances plugged into one point, or you are running devices that draw a higher amperage than the circuit is designed to cope with. 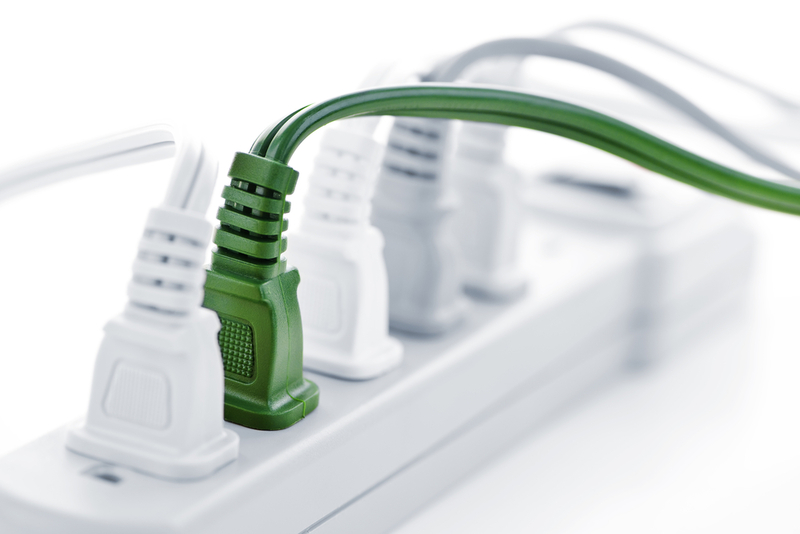 Let’s take a look at the common causes of overloaded power points, along with how to prevent these issues from occurring in your home or business. If your workplace is located in an older building, chances are fairly high that you’ll have a paucity of power points. So, you might improvise! You might plug a power board into a power point and then place a double adaptor in each free plug. So, you’ve increased the number of appliances you can run, but you’ve also increased your risk of overloading. It is especially dangerous if you ‘piggy-back,’ which is the practice of placing one double adaptor on top of another. Or, even worse, plugging power boards into power boards. If you do this, you’re almost guaranteed of creating an overload, a blackout or an electrical fire. If you need more power points, you need to contact an electrician to have more installed. That way you can safely run as many appliances as you need, without relying on unsafe practices. Understanding amps is crucial. Different appliances will draw different amps, for example, a large saw will require a lot more than an electric kettle, while a kettle needs more than a phone charger. By understanding amps, you can map out your requirements and ensure each point is only loaded to the correct level. Fuses: These are usually found in older buildings, and they consist of a ceramic holder. Thin strips of wire are held in these holders, and when a current passes through them, they melt. Each wire has a varying thickness, so if they are overloaded they will ‘blow’. Circuit Breakers: In many ways, these are the modern form of the fuse. Circuit breakers have sensitive switches that trip when they sense an overloaded current. This trip breaks the circuit and cuts the power. These are also contained in powerboards and include a smaller circuit breaker which can trip and be reset once power has returned to normal use. Organising an Electrical Safety Inspection: Organising a qualified technician to tour your workplace and check on load levels is the best way to protect against overload. The technician will also be able to suggest an electrical design that best suits your needs and prevents you from having to resort to unsafe methods of powering your appliances. Invest In Newer Appliances: The Green Revolution means modern appliances are more energy efficient. Not only are these energy-efficient appliances good for your home, but they’re also good for your power points. Just by upgrading an old device, you could save yourself from needing new power points or circuits. If you blow a fuse or trip a circuit breaker, don’t just flick the switch and start again. It means there is a problem and you have to identify what is causing it. Check all your power points for overloading and check amp levels on each appliance. If you can’t find a problem always call a technician before resuming operation. Remember, electrical faults kill, and it’s best to go through more downtime than to provoke a catastrophe. Even the smallest fault can spell big trouble, and only a trained eye and good technology can find those faults. You also need to choose high-quality powerboards, which means boards with circuit breakers and surge protection. The money you spend on good power boards will pay off time and time again as you protect your assets against power surges and your business from blackouts and fire. Of course, the most devastating effect of an overload is a workplace injury. All business owners are responsible for providing their employees with a safe workplace. Every worker deserves to return home after their shift, and to gamble with the possibility of a power overload is to gamble with that right. Don’t shirk your responsibility. There is no excuse for an overload and with proper care, and a commitment to electrical safety, you can prevent them. If it means you have to unplug appliances throughout the day, upgrade your electrical system or invest in new appliances that is the price you pay for safety and a well-functioning workplace.